Big 3d foam prop created from 2d logo for Sledge Hammer Games California. 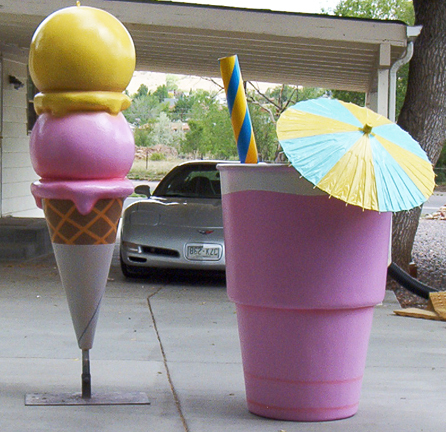 This giant foam sculpture was made for Kim Sterling, Owner of Mepro Productions. 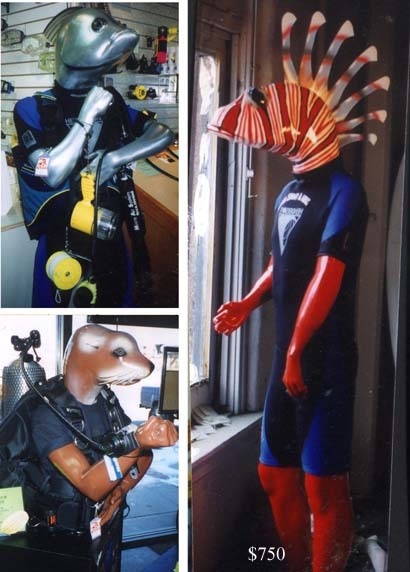 This sculpted foam prop had to seem deeper than the space allows. I call this forced perspective. If done correctly it can trick the eye. This logo will be accompanied by a 2d printed background. Approx. weight is 22 lbs. and it's very tough. Posted 9 years ago at 10:13 pm. 1st dozen made and they provide a unique look to their retail area. Posted 9 years ago at 12:00 am. 3d foam signs and props of big of food for Hyland Hills Water World! on top of the roof of a restaurant at Hyland Hills Water World in Colorado. Posted 9 years, 1 month ago at 11:41 pm. 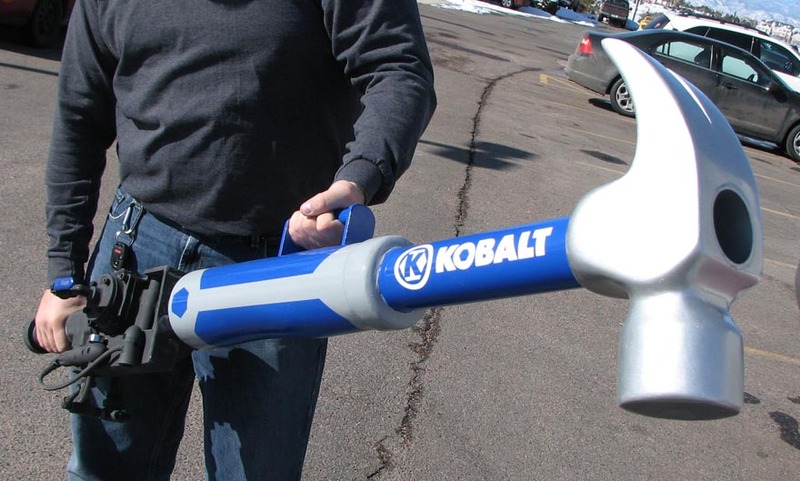 Big 3d sculpted Kobalt Tools hammer for Aircannons Inc.
Another t shirt gun for Aircannons Inc ! This is the big gun. It launches tees over 550 ft.
Its primary use will be at auto racing events where a large open distance is available. Posted 9 years, 1 month ago at 11:27 pm.